Do you need (a) room to be creative? Do you need space to network? Or a place for your events? We’ve got them! 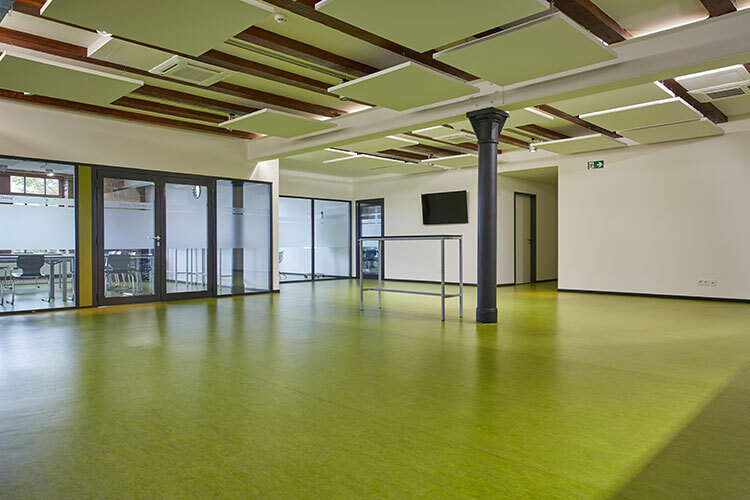 Available to you: a workshop room for up to 50 people, two meeting rooms for smaller meetings and a large networking area. Equipped with everything you need for presentations or seminars. From coloured pens to a computer projector. 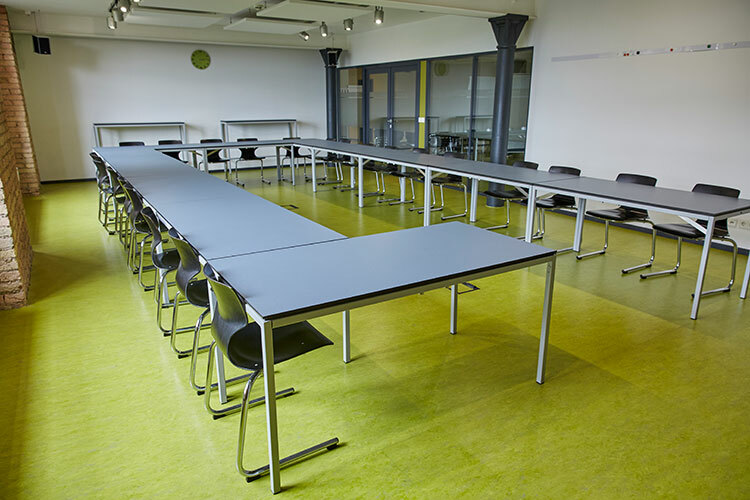 We offer you ideal conditions on a total area of nearly 200m2 for your workshop, your seminar, your training, your meeting or your videoconference. Rent our congress and conference rooms*. 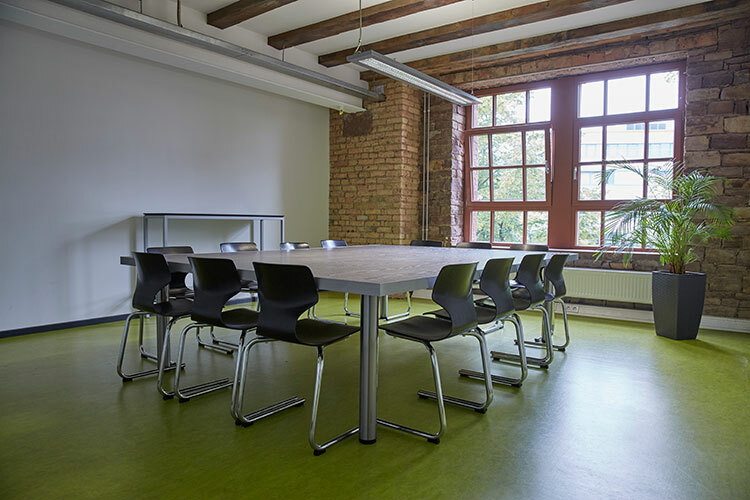 This 64 m² workshop room has space for a maximum of 26 people in a conventional seating arrangement (U shape). There is space for a maximum of 50 people with a special seating arrangement. A lectern is included. An HD computer projector, flipchart and pin board can also be booked. This meeting room is suitable for smaller seminars and meetings. Measuring 28m2, it has room for a maximum of 14 people. A 50” flat-screen TV is installed; a computer projector, flipchart and pin board can be optionally booked. 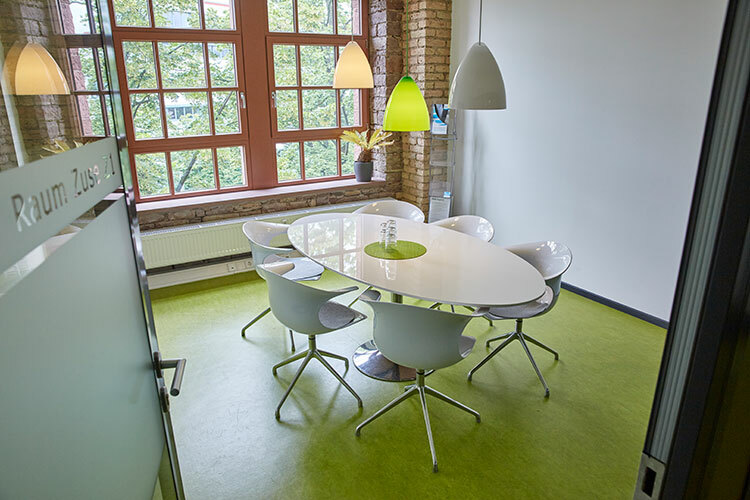 This 16 m² meeting room has space for a maximum of 6 people. A 46” flat-screen TV is installed; a computer projector, flipchart and pin board can be optionally booked.